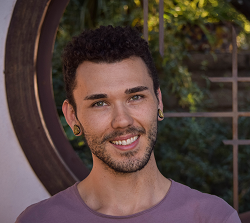 Joseph completed a 200 hour teacher training in Fall 2015 and recently completed a 300 hour with The Yoga Connection in 2017. It was a life-long interest in the occult and mysticism that led him to establish a daily practice of yoga and meditation several years ago. Joseph looks to practice as a form of ritual, understanding and devotion toward Higher Self. Off the mat he can be found practicing Reiki & other energy healing modalities, handcrafting fine jewelry, or indulging in artisan chocolates while conversing with close friends.